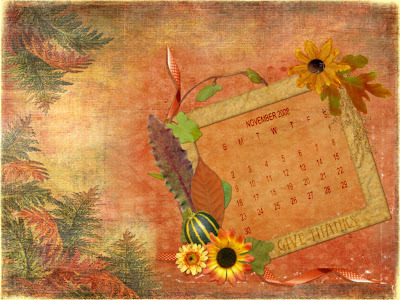 You can pick up a freebie copy of this desktop wallpaper/calendar that I designed using Susan's latest kit, Fanciful Fall Collection, on her blog. I hope you enjoy it. Nice Blog i like it ... Thanks for sharing... keep it up..